The Waltham Amateur Radio Association recently donated a copy of the ARRL Handbook to the Waltham Public Library as a token of their appreciation for the use of a conference room for the club’s monthly meetings. WARA meets in the Waltham Public Library’s Trustee’s Room on the last Wednesday of each month at 7:00 p.m.
Members of Taunton Area Communications Group visited ARRL headquarters to tour the facilities and operate ARRL Headquarters station, W1AW. 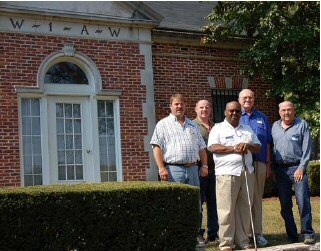 The group visited the research lab, where they saw “staff engineers tinker with new commercial radios for product review and home-brew radios and antennas of all kinds.” They also toured the office of ARRL President Joel Harrison, W5ZN, as well as the Field and Educational Services, Advertising, DXCC, and Contesting. The highlight of any trip to ARRL Headquarters is operating the Hiram Percy Maxim Memorial Station, W1AW. The group was honored and excited to make 22 QSOs on 17 meters using an Icom 781 and eight QSOs on 20 meters with a Yaesu FT-1000. Contacts were made with Belgium, England, France, Germany, Finland and the Canary Islands as stations “lined up” for contacts with the TACG W1AW guest operators. Ubuntu Linux enthusiasts are holding the first-ever Installfest on October 13, 2007 from 9:00 am-5:00 p.m. at MIT’s Media Library in Cambridge. [The Quannapowitt Radio Assocation] will have a 2 meter fox hunt on next Wednesday, October 10, starting from the Senior Center in Reading at 7:00 PM. It usually takes about 15 minutes to line people up in cars, so that we should get rolling by 7:15. That means that if you arrive later than that time the parking lot may be empty, so please try to get there by 7:00. We will use the frequency of 146.500 as usual (simplex of course). A compass and a map of the area will help. My cell phone number is 781-258-0625 if you need to call me. Also, I’ll be monitoring the 145.290 repeater prior to the fox hunt. (c)2007 W1GSL   http://www.swapfest.us        SASE for updated copy as issued. Understanding that this great event is unfortunately happening during work hours between 10 AM-5 PM EDT (1400-2100 UTC) Wednesday 10/3, any Amateurs that are available are asked to check into the operation on HF voice, 14.250 MHz and 7.250 MHz as well as PSK-31 on 14.070 MHz. Manager of Preparedness and Response, Dennis Dura-K2DCD, who is also the Assistant Director for VoIP Hurricane Net Operations has asked that Net Controls monitor the *WX-TALK* EchoLink Conference Node: 7203 and IRLP reflector 9219 as they hope to sign on there and take drill traffic reports from this exercise using those means as well. If you do get time to check in via HF, PSK-31, or EchoLink/IRLP, please let me know so I can post some further information on the Eastern Massachusetts ARES web site. Thanks to all for your continued support of Eastern Massachusetts ARES! Eastern Massachusetts amateurs may soon be able to review educational material on a CD-ROM and update their weather spotting credentials, writes NWS Taunton SKYWARN volunteer and South Shore District Emergency Coordinator Carl Aveni, N1FY. N1FY says that the scheme needs to be finalized by the National Weather Service before the CD can be released for actual use. Various interoperability projects are receiving high praise from ARRL, and Eastern MA amateurs are playing a prominent role in a couple of them. In his monthly QST column, “It Seems To Us” ARRL Chief Executive Officer Dave Sumner, K1ZZ writes about Amateur Radio’s role in communications interoperability. He describes the progress made in applying advanced technologies to emergency communications, as reported at the Third Global Amateur Radio Emergency Communications Conference (GAREC-07), held in Huntsville on August 16-17. A lot of the success for this program can be credited to Eastern Massachusetts amateur Rob Macedo, KD1CY. Macedo serves as Director of Operations for the VoIP Hurricane Net. He also serves as the Eastern MA Section Emergency Coordinator and is an ARRL Assistant Section Manager. 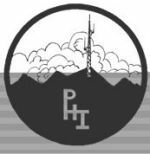 The VoIP Hurricane Net web site is hosted by another active Eastern MA amateur, Phil McNamara, N1XTB. McNamara built the web reporting form and linked database for the web-based reports. Coincidentally, N1XTB is also a prominent player in another interoperability area mentioned in Sumner’s editorial: increased collaboration in linking the digital networks among the Army, Air Force and Navy-Marine Corps MARS organizations. Sumner’s column can be found at: http://www.arrl.org/news/features/2007/10/01/1/. Boston Amateur Radio Club members who are also a part of Eastern Massachusetts ARES participated in a Strategic National Stockpile (SNS) exercise on September 23, 2007. A reminder that the monthly ARES Net for October is rapidly approaching. The monthly ARES Net for October is Monday October 1st, 2007, at 8:30 PM on the MMRA Repeater system. This is after the RACES Nets earlier in the evening. Join us for the Eastern Massachusetts ARES Monthly Net on the MMRA Repeater System following RACES Nets across the state of Massachusetts.